• Google now integration with Pear now companion. Option to show it as overlay also. • Customisable desktop. 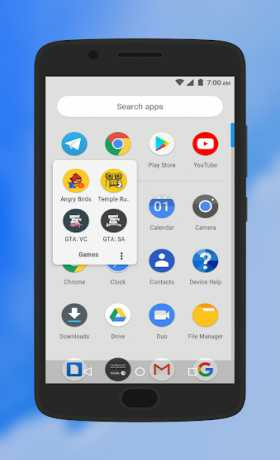 choose your indicators style, grid size, icon labels customization, lock desktop, top shadow, scroll wallpaper and margin. 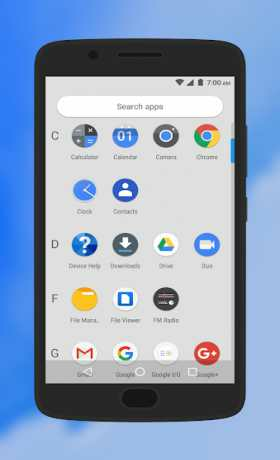 • Drawer Customisations Card background grid size, sort mode(alphabetical or install time), show search bar, predicted apps, accent color ,direct scroll , Pull dock to open and much more. • Dock . You can enable labels for dock, change number of icons , disable dock change its background. • Support for per folder smart folders(Swipe to open, click to open first app). Smart folders are shown with a badge. Added option in settings for auto smart folders which can be used to create every new folder as smart folder. 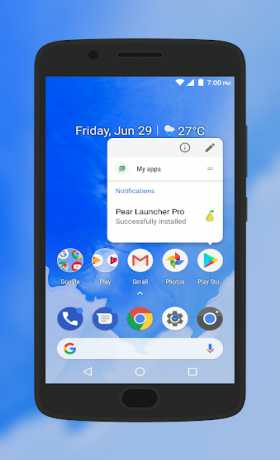 • Icon Packs – Find thousands of icon packs for Pear Launcher on the Play Store. • Change font style, hide notification bar, change its color , change app opening animation , orientation. This app asks to become device administrator, this is needed to lock the phone (using Pear Launcher’s gestures or pear action).